UK blogging assignment: Nutribuddy HotSlim. Organic, vegan health drink. Hello, we’re Nutribuddy! We sell high-quality vegan health products designed to make you feel happy and healthy. We pride ourselves in being completely cruelty-free, preservative-free and sugar-free. 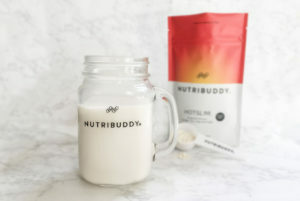 Nutribuddy HotSlim is one of our most popular products. It’s a warm, organic drink that you can heat up in your microwave to have a lovely health kick. The product is made with the finest quality ingredients including, gluten-free organic oats and some awesome superfoods. We are looking for UK bloggers to try out this product and publish a blog post that includes their thoughts on it. We are looking for bloggers based in UK who will sample the product and write a review showing their thoughts. We would also love social media postings throughout your time using it.